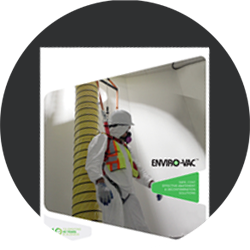 ENVIRO-VAC™ is a highly qualified and trusted leader in hazardous materials abatement and decontamination. We are recognized for being problem solvers and our wide-ranging abatement solutions, powered by over 40-years of experience, specialized expertise and talented people committed to being the best partners we can be for our valued clients. We take pride in providing extremely responsive services without sacrificing competitive pricing or quality of work and at the forefront is an uncompromising dedication to the health and safety of employees with a shared belief that is led from the top through to the boots on the ground. 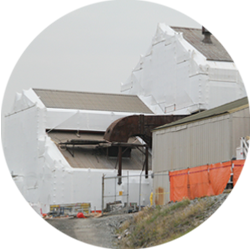 We have successfully completed thousands of turn-key abatement and decontamination projects throughout Canada and South America, often working under the most demanding conditions in strict compliance with environmental regulation in many diverse sectors that include residential, commercial, institutional, industrial and marine facilities and look forward to the opportunity of providing our service to you. Whether a project stems over many months or just a few days we have fouind Enviro-Vac to always bring exemplary efforts and achieve exemplary results for all our projects! We thank them for their hard work and look forward to working together for a long time in the future. 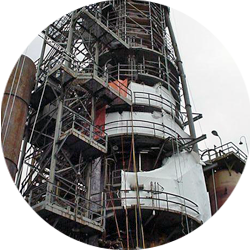 – Corinne Fulton, 3R Demolition Corp.
Enviro-Vac meets the highest safety, regulatory and insurance requirements through rigorous safety auditing. We are pre-qualified with the following networks who offer some of the most comprehensive contractor database and management tools available in the Canadian market. 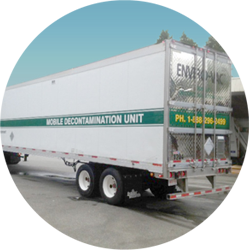 Setting the Standard In Hazardous Materials Abatement & Decontamination.